Meco Flex Antenna Plating System (FAP): a unique cost-effective additive process for RFID antenna manufacturing, Flexible PCB and Copper Clad Laminate (CCL). Low cost RFID applications are currently in the global spotlight. The market volume is expected to ramp up rapidly when total tag cost drops to only a few cents. 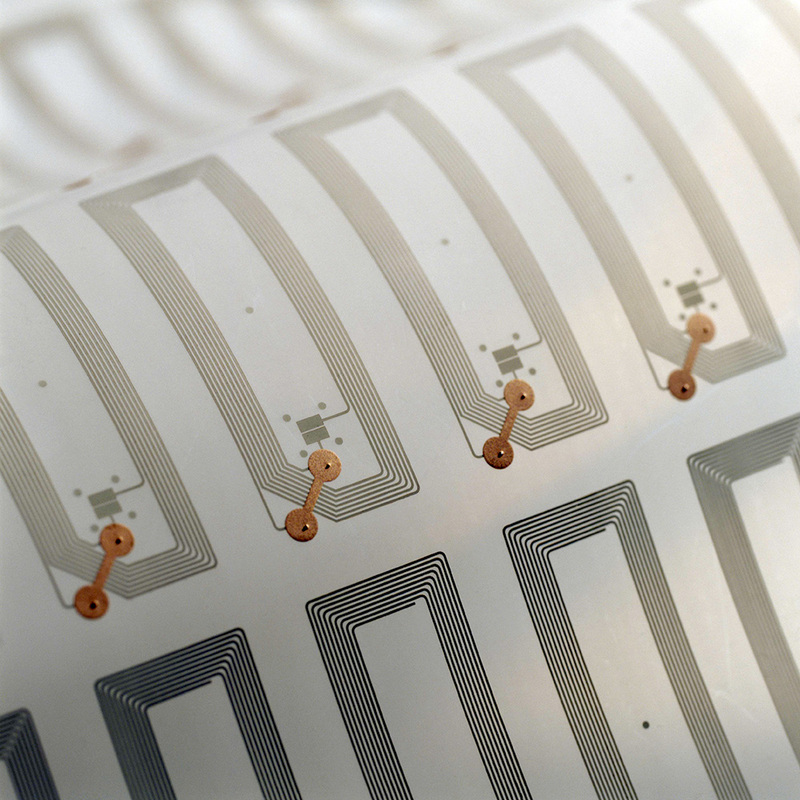 Antenna inlays for RFID passive tags are currently made out of etched copper or aluminium and, in some cases, (expensive) conductive ink. Neither production methods meet the market perspective of low cost production of high reliability tags. Meco has developed an additive copper process for plating low cost antenna inlays. The concept is very simple; select a substrate, print the required antenna design in ink, and then plate copper to the required thickness! 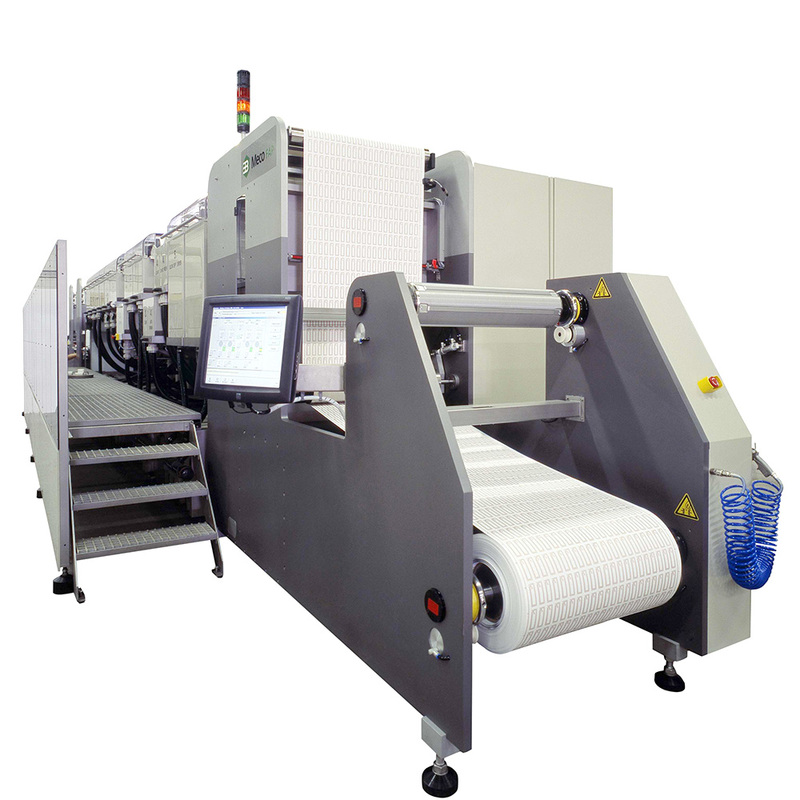 The process is completed after plating by pick & placement of a chip and final lamination. For printing the antenna pattern a conductive ink (e.g. a low cost non-silver ink) is used. You can directly electroplate the required copper on top of the ink layer. 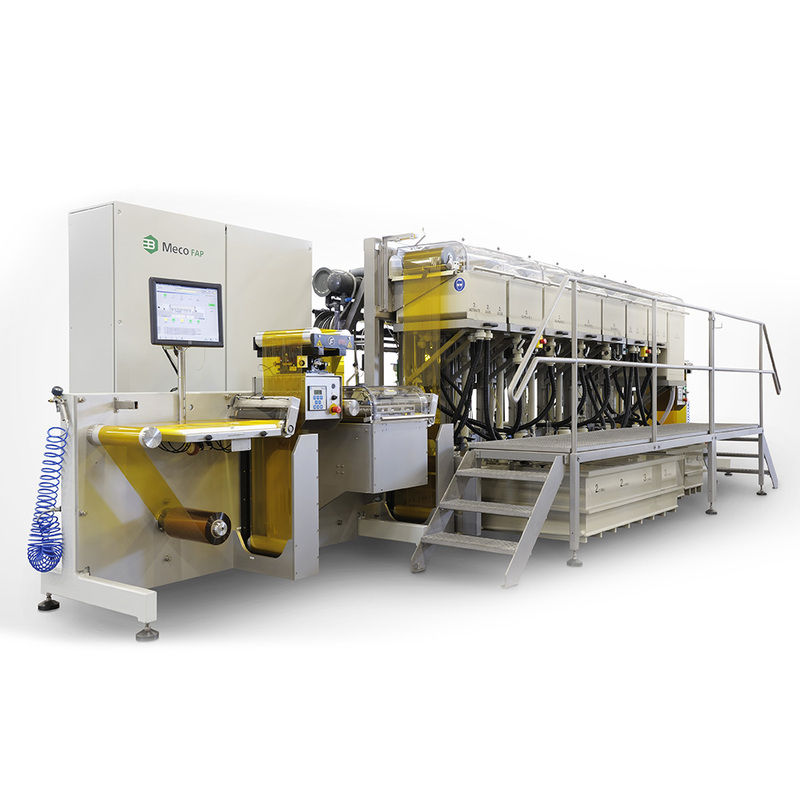 The ink layer for the Meco process is only used as a seed layer, the conductive is achieved with the plated copper layer. 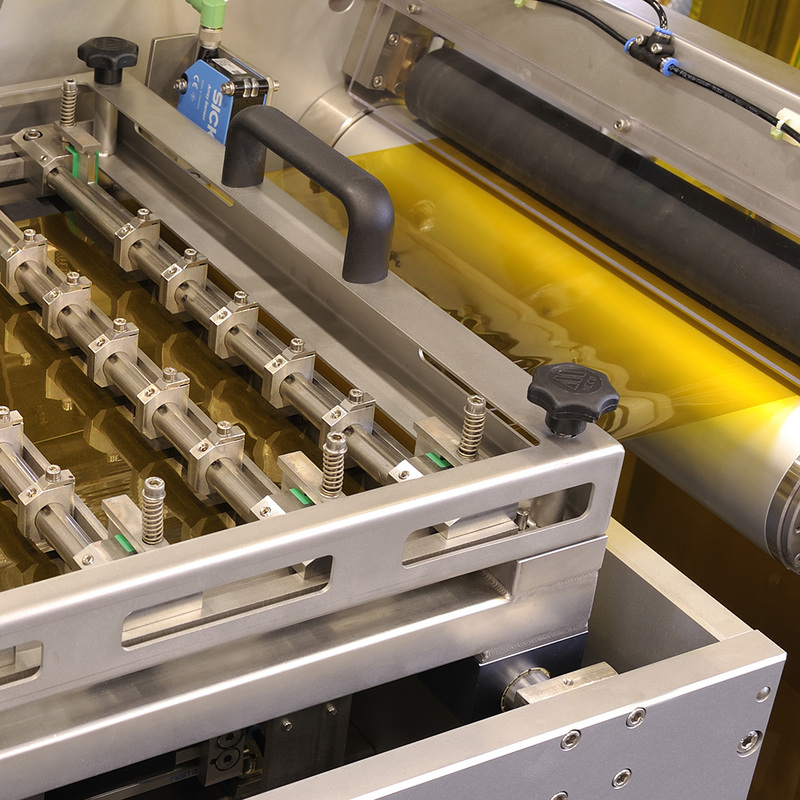 The Meco FAP therefore only requires a poor conductive ink layer of a few microns acting as a seed layer for the electroplating process. 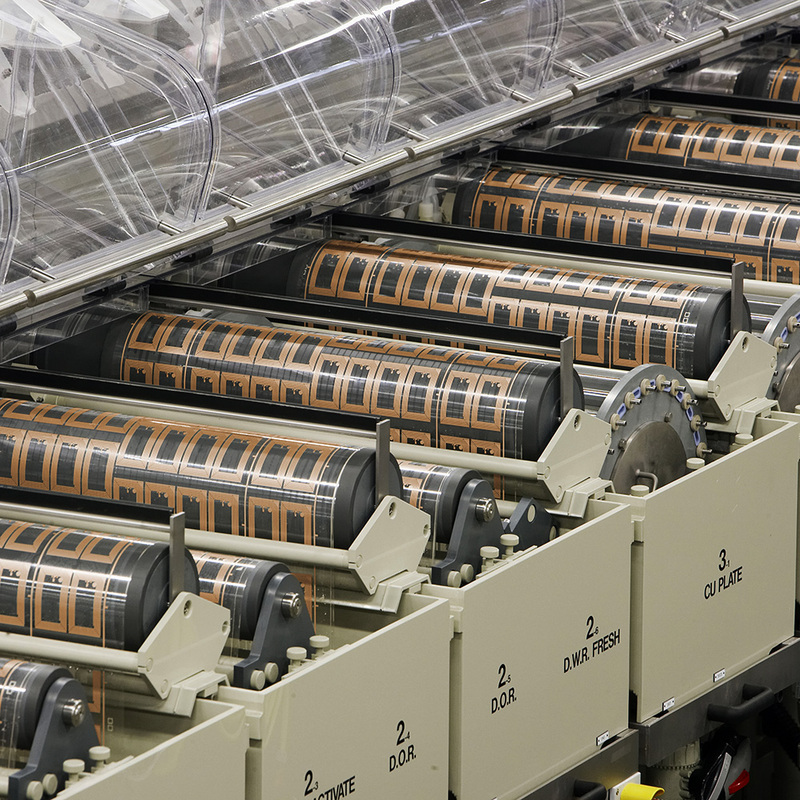 This thin ink layer can be printed in several ways, such a gravure, silk-screen, flexo or by inkjet printing system. High Product Flexibility/No Change-Over Time! The system can handle a wide range of different antenna designs (HF, UHF), without any product related parts resulting in zero downtime when changing over from one antenna design to the other! In general, to achieve a good Q-value a copper layer in a range of 3 - 12 micron is required, depending on antenna pattern and frequency band (13.56MHz, UHF). 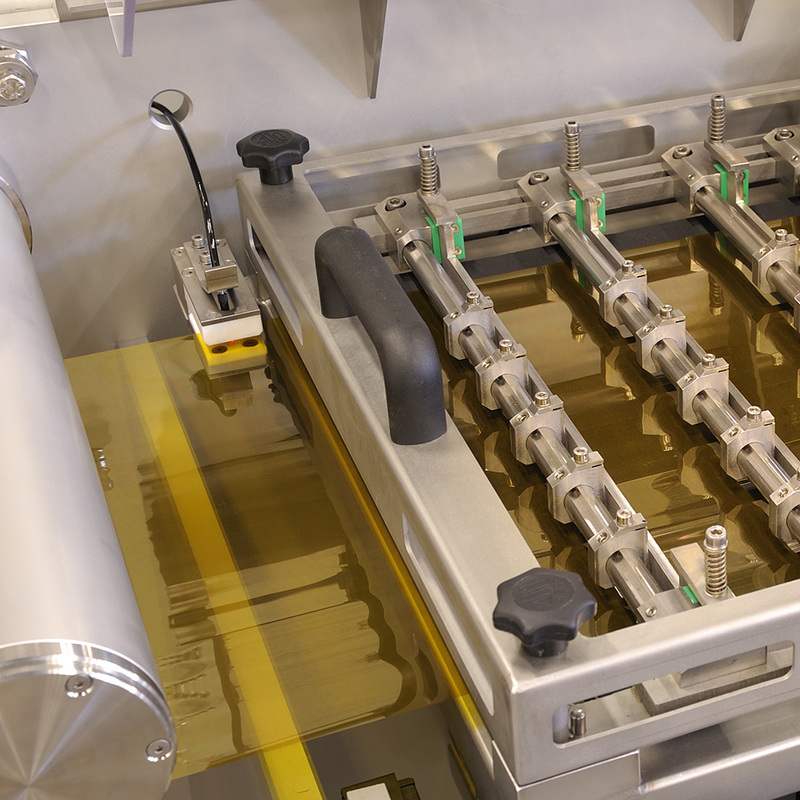 The Meco FAP system is computer controlled and has a modular setup of plating drums including dereeling and rereeling equipment, web handling system and pre-treatment and post-treatment stations. Due to its modular setup you can start with a small size system to reduce the initial investment, and when the volumes ramp up you simply add a number of plating modules later on. By replacing the expensive thick silver paste for a thin ink seedlayer with an cheap copper plated layer the total production cost will drop dramatically and functionallity becomes even better (read range). First, waste reduction (no etching) and secondly, a significant reduction of process steps resulting in inlay cost of only a few cents!